Let's Build Homes And Change Lives! Stefan James hasn't added a story. Right now, there's so many families that live in slum conditions: often sleeping on the ground, vulnerable to disease, theft, and extreme weather conditions. There's also many communities that are lacking proper education, as they can't afford to build school houses or have educators be able to help children learn basic skills like reading and writing. But together we can change this. I am going to either Colombia, Costa Rica or Guatemala in 2018 to build homes for families living in slum conditions that are in desperate need of a home to live in. I'll be inviting donors to come with me on an exclusive "volunteer trip" to one of these locations, to be able to participate in building a house and being able to mastermind together on your life or business! My goal is to raise $20,000 total, for building a school and 3 homes. I'll be matching any donations made. So if you donate $20, I'll match that and donate an extra $20. I've already built 6 schools and 4 houses and my ultimate goal is to have funded and built 50 schools and 100 houses. Any donations can help, even if it's $10, $100, or more. I will be matching all donations and also giving significant amounts from my own pocket. My goal is to be able to use my influence to bring awareness to these challenges, and more importantly, get help from others to make an even greater impact than I ever could on my own. As Tony Robbins says, "The secret to living is giving." By stepping outside of yourself and giving to those that are in far worse circumstances than you, it trains yourself to live in abundance and eliminates any scarcity that's holding you back in your life. This abundance, I believe, allows you to attract and manifest more into your life. And ultimately, it leads to a lasting level of joy and fulfillment that is unmatched by anything you could acquire or attain for yourself. Thank you, sincerely, for partnering with me to be a force for good and changing lives! 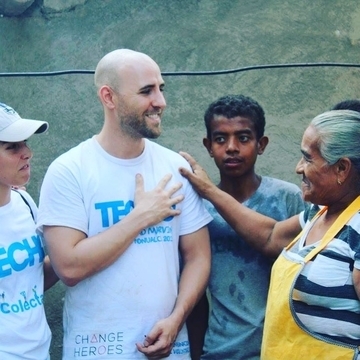 Journey and World Housing are funding and building homes for families living in slum conditions in Nicaragua, Colombia and now Mexico and you can help make it happen: let's come together as a village, to build a village. Then, a group of us will travel to build the homes in person, meet the families and the communities, and take photos and video to show you exactly where your contributions went. Join us in changing the reality for these families, and creating lasting change in the local communities (and for the travelers we bring)! And a family's life will change forever. On the Journey we stay at reputable hotels, learn from the locals, and support the local economy through sustainable and responsible travel. We humbly suggest $100 or more: this will make it possible for us to hit our goal. A: Funds go to Journey's nonprofit partner World Housing: World Housing is registered charity in both Canada and the USA and provides homes to families living in slums in the developing world, fostering communities where families can thrive with safety, security, and access to the resources that change lives. 100% of the funds donated (after platform fees) will go directly to building homes for families in need. Journey's non-profit partner, World Housing, is proud to operate on the 100% model, where every dollar of the operating costs are covered by a group of social impact investors. This means every dollar donated goes to home building. This campaign is raising money with permission and on behalf of World Housing. 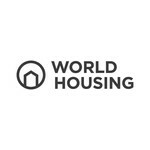 To learn more, visit worldhousing.org. Q: How are families chosen for a home? A: Families are chosen based on a set of priorities determined by surveys, and information shared by the families and community members. Before the families receive the home, our building partner receives their consent in order to start with the construction. The process includes the following. Brainstorming in the Field: building is done through participatory design and solutions are created together with the residents of the community in order to tackle the identified needs. Precarious Housing = Urgent Problem: The process of community development starts with the construction of transitional houses, with the mass participation of volunteers and the families of the community. Q: What happens to additional funding for a project when the goal is met? A: Funds go into a general pool, to be applied to other impact projects. Q: Will I get a tax receipt? A: You will receive a Canadian tax receipt for your donation before the end of the year. More questions? Message us for answers. Stefan James hasn't posted any updates yet.